The new PremiumContact 6 replaces both the PremiumContact 5 and the SportContact 5, unifying the comfort and efficiency of the PremiumContact range, with the high performance, steering precision and grip of the SportContact. Tyre review data from 25 tyre reviews averaging 88% over 101,780 miles driven. Positive - Good handling on dry and wet surfaces, good wet handling, high braking performance. Negative - Increased noise level. Positive - A well balanced performance with good wet handling, short wet and dry braking distances, low rolling resistance, low wear. Negative - Average aquaplaning results. Positive - The best balance of performance on test, excellent handling and short stopping distances on dry and wet surfaces, high aquaplaning resistance. Negative - Relatively high rolling resistance. 2017-02-28 - Will the Premium Contact 6 be available in 205/55/16 size and when? Thank you! It's a very likely the Premium Contact 6 will be released in 205/55 R16 in 2017, however there has been no date announced by Continental yet. 2017-10-23 - I have nearly new contisportcontact 5 on the rear of my focus mk3 Zetec S & worn ones on the front. Can I put the rear to the front & put the new conti premium contact 6 on the rear without upsetting the grip/ride etc. The car has always had Continental tyres on since new, then contact 5 so I would like to keep using Continental. A higher percentage in wear means the tyre lasts longer. 2018-05-01 - Continental have designed the Premium Contact 6 for good ride comfort and sporty feel, how does it compare to Goodyear Asym.3, which also has good ride comfort and is a summer tyre? I have not had the opportunity to test the two tyres directly back to back, but looking at other tests the Premium Contact 6 often scores poorly in terms of comfort meaning it is likely the Asymmetric 3 which has the edge in comfort. 2018-06-24 - Conti states the premium contact 6 is 15% better wear than CSC5. Review of CSC5 last no longer than 30000km. Can you verify that the premium contact 6 has less than 35000km? Wear rate is a bit concern for most conti tires from what I gather. Wear is very subjective and difficult to compare between different driving cars and driving style. It's best to look at the tests and reviews on this site to help you understand the real world mileage you could achieve. The answer is yes to both of your questions, but it will likely be a small amount in both categories. It's interesting these tyres have such differing label grades, are you sure one of the tyres isn't an OE marked tyre which will have OE specific changes to it? 2018-10-05 - I own a 2006 Mercedes E-Class 550 V8 sedan. I was actually pretty much settled for the Michelin Pilot Sport 4 for next season. Yet I feel tempted to go for the Premium Contact 6 instead, since steering Response was praised in a couple of tests. I'm not seeking ultimate grip and fast lap times, but a sporty feel is welcome. Have you guys been able to test them back to back? Second part of the question: both tyres are offered in 93 and 97 LI. The 93 is sufficient and I rarely drive the car fully packed. Would the 93 LI be the obvious choice? Thanks in advance. Sadly I've not yet driven the two back to back, looking at the various tests it seems the steering feedback switches depending on the size used, so make sure you're referencing a tyre review in or near your size. If you're interesting in steering feel, the higher load rating might be the smarter choice. 2019-03-10 - I am going to replace my factory tires Cont Premium Contact 5 (205/55 R16 91V) at my Golf Mk7 (122 PS).I want to choose between Cont Premium Contact 6 (205/55 R16 91V) and Michelin Pilot Sport 4 (205/55 R16 91W).Which ones would you recommend when grip and braking distance is the priority? Michelin Sport Pilot 4 for this size is available only at higher speed index (W) than the recommended by a manufacturer (V).Does the putting on stiffer tires with a higher speed index (W) can cause significant changes in handling, electronic traction control systems, comfort or grip (when the car is unloaded)? Can stiffer tires cause faster wear to the suspension or other parts of the car? Both tyres are extremely close in performance, you won't be disappointed with either the PC6 or PS4. There's no concern fitting the W either, the differences would be negligible if at all. 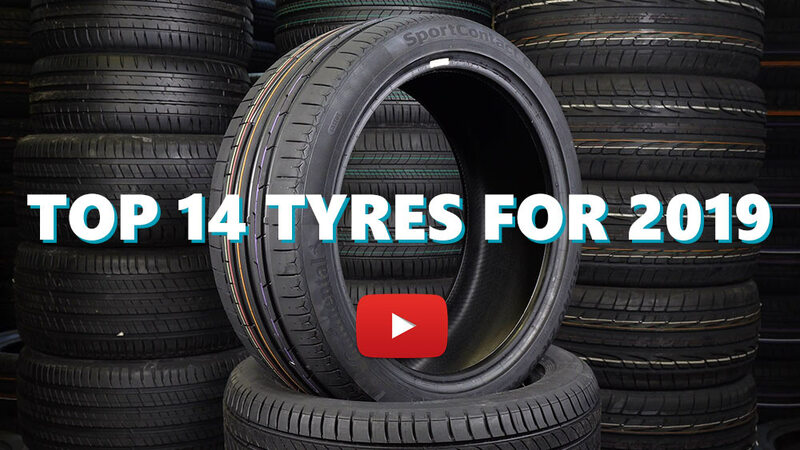 Available in 78 tyre sizes - View all. Have you driven on the Continental Premium Contact 6 tyre? Please help millions of other drivers make an informed tyre choice and pick the correct tyres for their car by submitting your review of the Premium Contact 6. Excellent dry and wet grip, low fuel consumption, low wear, extremely comfortable, very good handling even in the wet road, sport tyres. I hope this features continue till the end. I can definitely buy this tyre again! I have just replaced the three different tyres on my recently purchased Volvo XC70 for the Continental Premium Contact 6 and the transformation is nothing short of amazing. Can’t comment on wet grip or longevity but I can honestly state these are the best tyres I have ever used on any vehicle. Handling, dry grip, road noise and comfort are 10/10 for me. Bought four of them for £508 inc vat which makes them outstanding value for money whilst delivering a sensational driving experience. Early days but I have been driving a wide range of cars for the last 36 years and I am regretting never having used a Continental tyre before. My previous cars have been VW Beetle, Triumph, Ford Cortina Mk111, Vauxhall Cavalier x 2, Vauxhall Carlton x 2, Audi A4, Nissan 200 SX, Peugeot 405 x 2, Mercedes CLK 230 Kompressor, Mercedes C Class Estate, Mercedes SLK 230 Kompressor, Nissan Navara Aventura, Mitsubishi Outlander, Ford Transit Connect, Land Rover Freelander, Land Rover Discovery 3, Land Rover Defender, Range Rover Sport 3.0 TDV6 x 2, Volvo XC70 x 3 and I wish I had fitted Continentals years ago on all of them.............if I could have. Previously had Yokohama’s but these are ten times better. Much better grip and traction. More noticeable in the wet. Very nice tires. Is that I would like a little less noisy and a little more comfortable. But I hardly buy them next time, like any other products of this brand. Bought 2 months ago and since then I can not find the rear tires 255/35/r18 (although promised in two weeks). Today I learned that the company is going to ship them to Cyprus no earlier than in 3-6 months. Buy expensive tires and not find them a pair or a replacement - personal dislike to Continental. And they are not even in large stores that they send to us.